Spread of soilborne pathogens, such as the Fusarium wilt fungus that attacks lettuce, can be reduced if contaminated soil is not moved around. Human influenza (or “flu”) was a big deal for Americans in the fall 2017 through winter 2018 season. As widely publicized in the media and by the Centers for Disease Control (CDC), flu virus outbreaks in the continental U.S. were rampant in all but a few states. As of early April, this flu season caused 137 pediatric deaths. Hospitals were inundated with patients, and many lives were lost due to this virus disease. The influenza B H3N2 strain is aggressive and continues to spread and cause suffering; officials say concerns about this flu are not yet over. How the flu virus spread is not a mystery, while medical doctors and researchers continue to put together facts, data, and theories on why the H3N2 flu was so devastating this season. The flu vaccine is one important way of preventing or alleviating this virus. However, another major step to preventing flu involves using the knowledge we have on how this virus moves around. Because we know exactly how the flu virus spreads, those of us who are healthy are urged to regularly wash our hands, avoid touching our eyes, nose, and mouth, disinfect surfaces and objects before touching them, and avoid close contact with those who are ill.
Those of us who are infected with flu can reduce the spread of flu by staying home to avoid spreading the virus, covering our nose and mouth when coughing or sneezing, and regularly washing our hands. Knowing how plant pathogens move within and between fields is essential to developing an effective vegetable disease management strategy. Preventing and managing the diseases that attack our crops is a daunting challenge in many agricultural situations. Research studies and growers’ experiences have contributed to the integrated disease management strategies we use today to combat these destructive microbes. To a large measure, these strategies depend heavily on our knowledge of how plant pathogens are spread. In contrast, when a new plant disease occurs, disease management is often spotty and insufficient because we do not know how the pathogens are being moved around. Like malaria and Lyme disease, a number of plant pathogens need to be carried around and spread by an insect or arthropod vector. The tomato yellow leaf curl virus is spread and vectored by the whitefly insect. Tomato spotted wilt virus is picked up and spread by thrips. Aster yellows disease is caused by a phytoplasma microorganism that is only vectored by leafhoppers. The industry-threatening citrus greening disease is caused by a bacterium transported by the citrus psyllid. Knowing that these and other pathogens are spread by a vector helps us formulate a disease management approach that includes vector control. A number of economically important plant diseases get their start on the crop seed. These pathogens have the ability to be inside or on the surfaces of seed. Once the seed germinates, the pathogens are able to infect the new seedling and develop as the plant host grows. 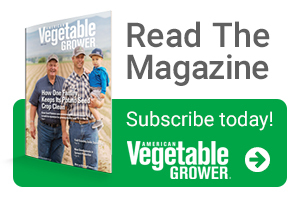 Many vegetable crops have important seedborne pathogens. Some examples are the following: tomato bacterial canker, speck, and spot (Clavibacter, Pseudomonas, and Xanthomonas, respectively); watermelon bacterial fruit blotch (Acidovorax) and gummy stem blight (Didymella); crucifer black leg (Phoma), black rot (Xanthomonas), and Alternaria leaf spot (Alternaria); celery early, late, and bacterial blights (Cercospora, Septoria, and Pseudomonas, respectively); lettuce bacterial leaf spot (Xanthomonas) and lettuce mosaic (Lettuce mosaic virus); two leaf spots of spinach (Cladosporium, and Stemphylium). For these and other problems, the pathogen is moved via infested seed. Disease management therefore will be focused on the seed as a mechanism of pathogen spread. Numerous foliar diseases are spread by splashing rain water or overhead sprinkler irrigation. For dozens of blight, fungal, and bacterial leaf diseases, once a few plants develop symptoms, the pathogens grow in the diseased tissue and produce huge numbers of spores and cells that are disseminated to adjacent plants when water splashes on the foliage. In these cases, knowledge of the role of water in spreading pathogen propagules enables growers to formulate control strategies for these diseases. 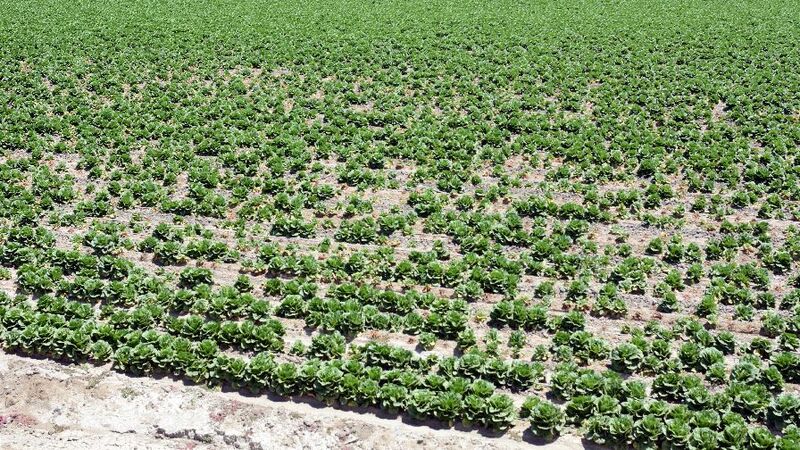 Switching irrigation practices from sprinklers to furrow or drip irrigation and planting susceptible crops during the non-rainy part of the year are two strategies designed to reduce the losses from such pathogens. Most soilborne diseases, such as Aphanomyces, Fusarium, Phytophthora, Pythium, Sclerotium, and Verticillium, persist in the soil for long periods of time. Therefore, any event or production practice that moves the soil will also move the pathogens within it. If an infested field is plowed or disked, the farm implement used to complete this task can be covered in dirt and mud that will carry pathogens to the next field to be tilled. Floods or excess run-off of surface irrigation water can also spread these soilborne pathogens by either physically moving the pathogen on suspended soil particles or by allowing some, like Phytophthora and Pythium which can swim in water, to be transported wherever the water flows. Based on the knowledge of how these organisms are spread, growers should take appropriate precautions, such as rinsing off equipment and preventing the development of flooding from over-irrigation. Significant reduction in the nationwide spread of flu virus could be achieved if measures are taken to counteract how the virus is spread between people. Likewise, by knowing how plant pathogens are spread between plants, crops, and fields, agriculturalists can devise integrated approaches to help minimize the crop and quality losses caused by these microscopic agents. 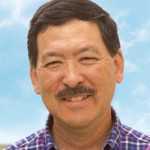 Steven T. Koike is Director of TriCal Diagnostics, located in Hollister, California. See all author stories here.